March is finally here and it’s one of my favorite months out of the year because it’s basketball season! College basketball is in full swing in march and my family loves it! March is a really busy month for us so we’re often eating out and that is a big problem for me with heartburn afterwards. I love spicy foods, but they don’t love me, and when I decide to eat them anyway I really pay for it later. I was at Walmart looking for something to take regularly to prevent my heartburn, and I found Nexium 24HR. Let me tell you, after taking this on a regular basis, I don’t have to plan ahead or avoid spicy foods and that makes me so happy!! The best part of this is that you don’t have to carry around any heartburn medication in your purse or in your car. 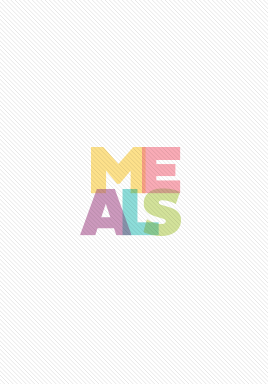 You are free to eat your favorite foods at any time without worrying! Now, please remember I am not a doctor, nor am I offering medical advice, I am just sharing a product that has made a difference for me. 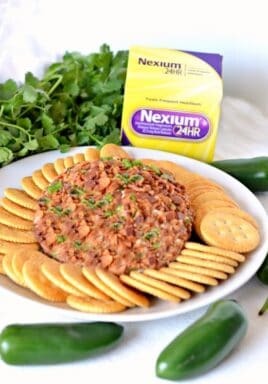 I purchased it because Nexium 24HR was the #1 selling frequent heartburn brand and I have had great results! 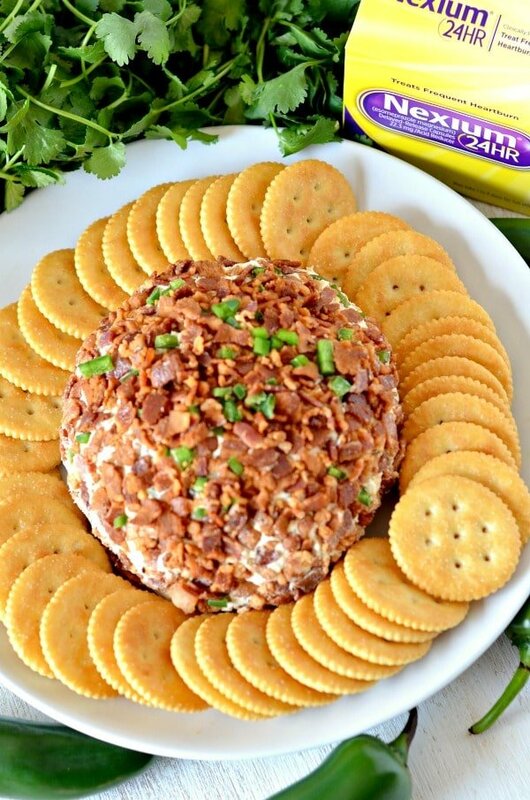 Creamy, cheesy and just a little bit spicy, this is the perfect party cheese ball! In a large mixing bowl, mix together cream cheese and diced jalapenos. Once well mixed, add in shredded cheese and 1/4 cup of the bacon crumbles and mix just until blended. Place into fridge and chill for about 20 minutes. Remove from refrigerator and form cream cheese mix into a ball. In a separate bowl, mix together remaining bacon crumbles and diced jalapeno. 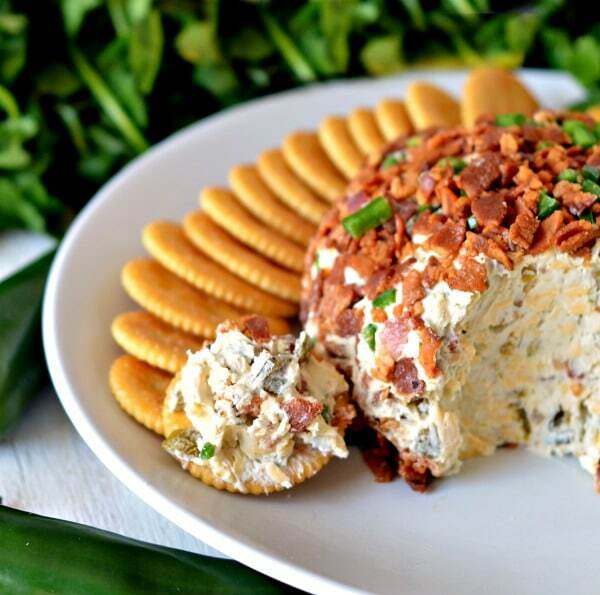 Roll cream cheese ball evenly over the bacon crumbles until all sides are coated. Refrigerate until ready to serve. 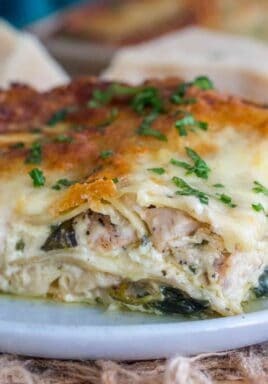 Serve with crackers or corn chips. 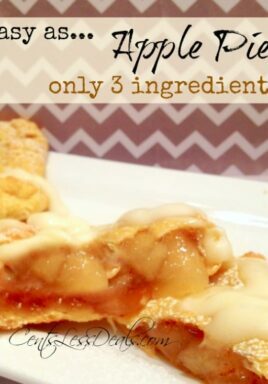 Individual Apple Pies with only 3 ingredients!